As the mercury dips, it makes your furnace and heat pumps work harder, eventually taking a toll on their performance. This is not a scenario you would want to encounter during a harsh Wisconsin winter. Luckily, the emergency furnace repair experts from Guelzow Heating & Air Conditioning Service in Wisconsin Rapids are just a call away. Count on these professionals to channel the company’s 63-year legacy in their exceptional 24/7 emergency services. As a local, family-operated business, Guelzow Heating & Air Conditioning Service takes a personal interest in their projects. From heating system installation to minor repairs, every job reflects the company’s high standards in workmanship. As a proud member of the Wisconsin Rapids community, the heating contractor is there for their neighbors whenever they require assistance. 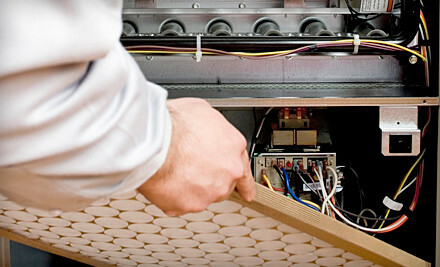 Spare yourself the stress of furnace maintenance, and leave it in the trusted hands of the company’s technicians. Trained and experienced, they arrive at your doorstep to fix your heating system on an urgent basis. With their extensive experience with different furnace brands, they guarantee 100% customer satisfaction every time. Apart from the repair work, you will also receive helpful tips for your furnace’s upkeep. To ensure the system continues to function smoothly, subscribe to the company’s comprehensive preventive maintenance program. Even if the damage renders your furnace useless, there is no need to panic. The skilled team at Guelzow Heating & Air Conditioning Service will replace it with a premium option from their product range. With a fully licensed, certified, and insured company at your service, the quality of work will speak for itself. It’s clear to see why Guelzow Heating & Air Conditioning Service is the best place to get your furnace repaired. Call Wisconsin’s top heating contractor at (715) 423-1086 to receive a free estimate today. View a comprehensive list of air conditioning and heating services on the company’s website.